This is a very easy candy to make. It doesn’t require any special ingredients or tools. And it is so delicious. I know toffee and caramels can seem intimidating. Most of the time you have to reach a certain boiling stage in order to make a proper caramel. Well, with this recipe you don’t need a candy thermometer. You just have to use a timer. That’s it. I’ve made this a few times, and I’ve never had it turn out bad. It is sweet, salty, chocolaty, and entirely addicting. I absolutely love this treat! The first step is to line a cookie sheet with aluminum foil or parchment paper. You will need to use a cookie sheet with at least ½ inch edge on it. You could also use a baking pan instead of a cookie sheet. The edge is important because the caramel will bubble up slightly in the oven at a later step. Once the pan is prepared, line saltines in a single layer on the baking sheet. You can break saltines in order to fit them better in the pan. Don’t place saltines on top of each other, this recipe works best when the saltines are in a single layer. Next, in a large pot, combine the sugar and butter over medium heat until the butter is melted and both are combined well. Once the butter and sugar are melted together, bring the mixture to a boil. Once it starts to boil, boil for 3 minutes exactly. Keep stirring the mixture so it doesn’t burn. 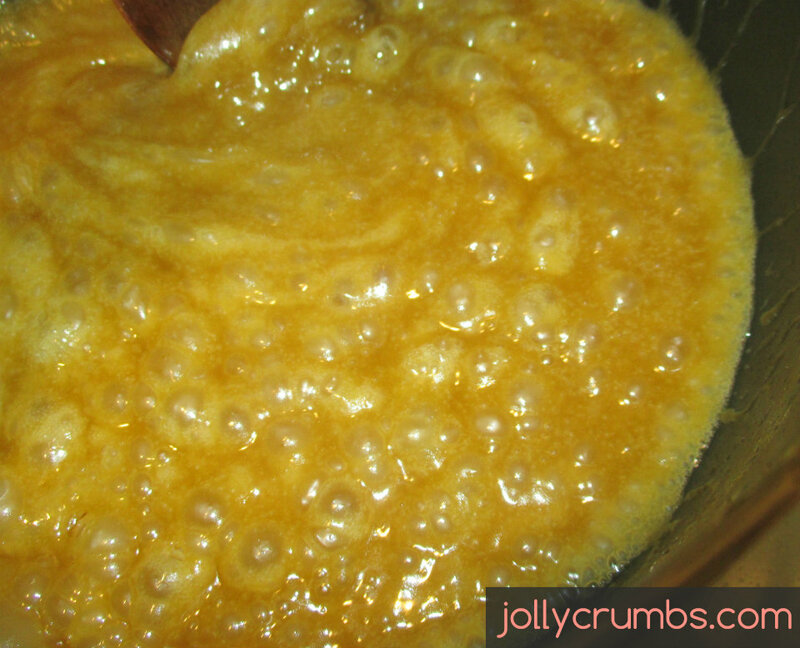 The caramel will deepen in color and start to resemble a loose caramel. Once the 3 minutes are up, pour the hot caramel over the saltines. Spread the caramel evenly over all the saltines. The saltines should either be covered or at least have caramel spread over them. 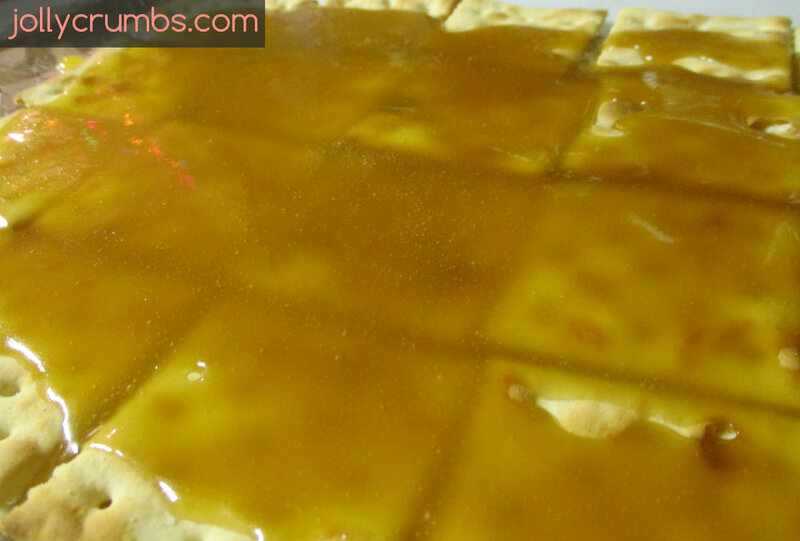 Bake the saltines for 5 to 6 minutes, until the caramel has become bubbly. Remove the caramel saltines from the oven. Sprinkle the chocolate chips over top of the caramel. Let them sit for a couple minutes so they melt. If the chips don’t all melt, you can pop the pans back into the oven to warm the chips up. You can also just make toffee saltines by not adding chocolate. Also, feel free to use whatever kind of chocolate you want to top this. I’ve used both milk and semisweet with success. Once the chips have melted, spread the chocolate over all the saltines, as evenly as you can. You can add anything additional that you’d like, such as toffee chips, other chocolate chips, nuts, sprinkles, etc. Place the pans in the refrigerator to cool. Once the chocolate is firm, you can break these apart into as many pieces as you’d like. You can keep them in the refrigerator or at room temperature. 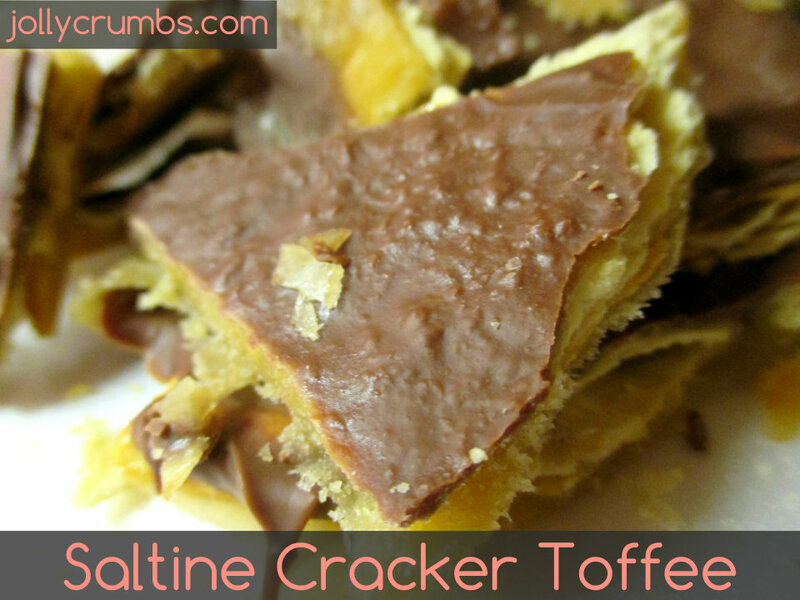 This dessert has many different names (crack toffee, cracker toffee, Christmas crack toffee, etc.). I don’t care what you call it, this is delicious. It’s slightly crunchy, slightly soft. It has a wonderful texture. I would say it’s one of the best toffees I’ve had. It doesn’t get stuck in your teeth like some I’ve had. Seriously, go make this. It’s addictive and delicious. Preheat oven to 400°F. Line a cookie sheet, jelly roll pan, or other baking pan with aluminum foil or parchment paper. Make sure the pan you use has at least a ½ inch edge on it. Line saltines in a single layer on the baking sheet. You can break them to fit if you need too. In a pot, combine the sugar and butter until the butter is melted and both are combined well. Bring the mixture to a boil. Once it is boiling, continue boiling for 3 minutes exactly. Keep stirring continually for the 3 minutes. The caramel should deepen in color and start to resemble a caramel color. Once it has boiled for 3 minutes, pour the caramel over the saltines. Spread it evenly over the saltines so they are all covered completely. Bake for 5 to 6 minutes until it is all bubbly. 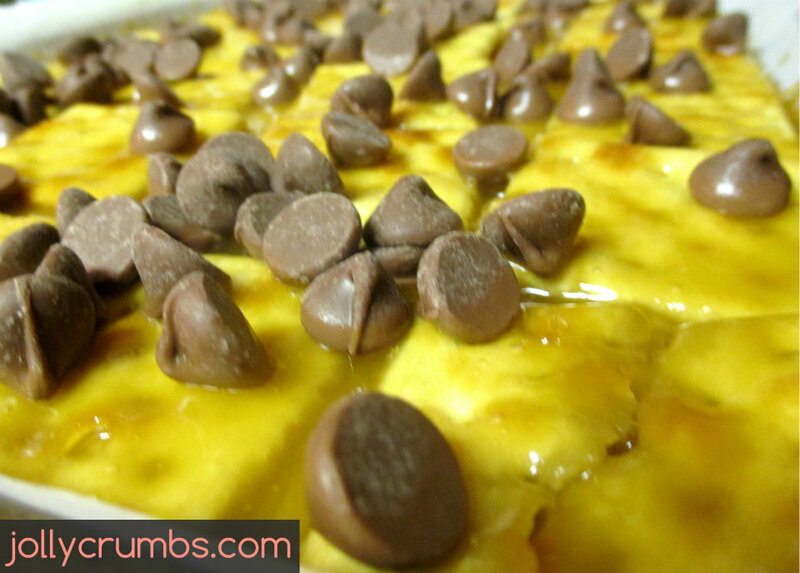 Remove from the oven and sprinkle the chocolate chips over the top of the caramel. Let them sit for a couple minutes to melt completely. If the chocolate chips don’t melt completely, you can pop the pan back into the oven to melt them completely. 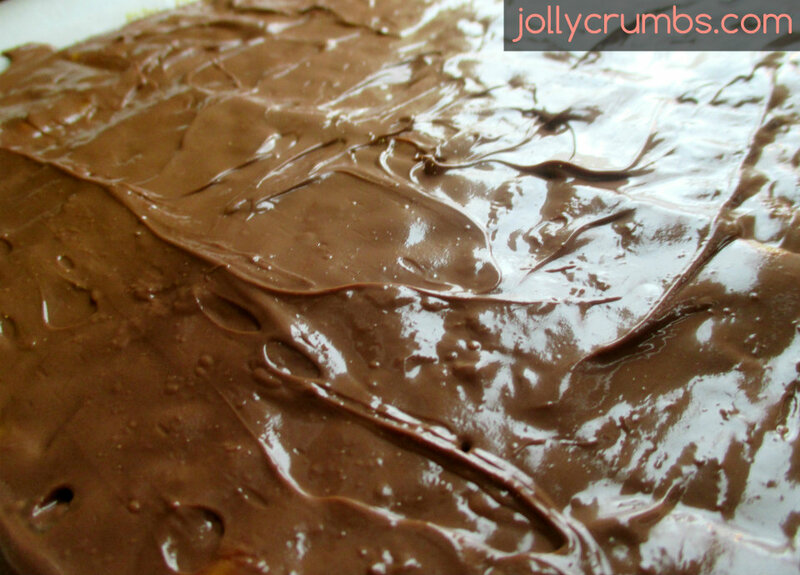 Spread the melted chocolate and top with anything additional you like. Let these cool in the refrigerator until set. You can store these at room temperature or in the refrigerator. Don’t use salted butter and salted saltines. I use salted saltines and unsalted butter for this. I’ve used milk chocolate and semisweet chocolate before on this recipe; both are equally delicious, so use whichever you like better. I have melted the chocolate before spreading it, and I have added the chips to the hot caramel. The chocolate melts equally fine each time, so I recommend making less dishes and just adding the chocolate to the hot caramel. Just let the chips sit for a couple minutes on the hot caramel before spreading the chocolate around.